Child centered approach to teaching The Ten Commandments for kids: The ten commandments given by God on Mount Sinai are at the core of our social code of behavior today. As parents and teachers our role is to pass on to our children these important values in ways that are both simple and memorable. When telling the story, be dramatic and exaggerate your actions to help create an emotional connection for the children. I like to add the sounds of thunder and trumpets and ask the children to join. By asking the children to participate you are allowing them to own the story. It becomes their story and no longer yours. On their third month traveling in the desert, B'nei Israel camp opposite Mount Sinai. They are told that God has chosen them to be His people. B'nei Israel respond by saying: "We will do and will listen." Rules are there to protect us. Such as safety rules (wearing a helmet) and traffic rules. We have rules at home and in class too. What are some of the rules you have at home? in class? Other than keeping us safe, what else do rules provide us? Rules are the moral code of our society. What Would The World Be Like Without Any Rules? Once you establish the need for rules in a society in order for them to protect the people living within it, ask the children why do we need rules such as Honoring Our Parents and Keeping the Sabbath a Holy Day? These commandments are not for safety or protection. Why does God Command Us to Follow These Rules? 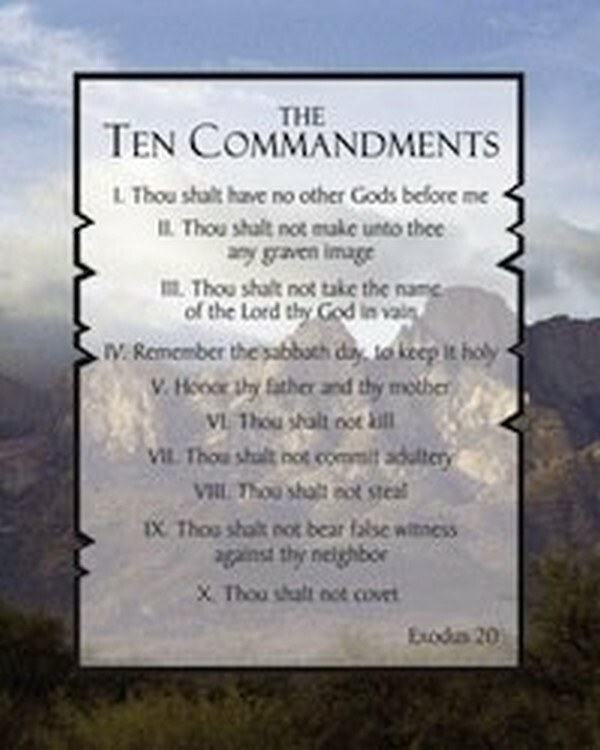 These commandments help create a harmonious and caring society. We need to be kind, respectful and tolerant to all people in the world especially the ones we cherish and honor such as our parents.